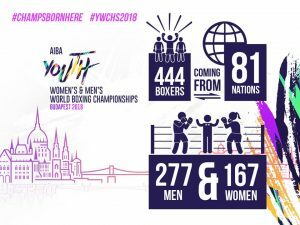 Team Ireland, pictured above, trained in Budapest,Hungary today ahead of the start of the AIBA World Men’s and Women’s Youth Championships. The Irish squad arrived in Budapest yesterday.Boxing begins Tuesday in the Hungarian capital. Please scroll down for training pictures, courtesy of Tara Mari Robins. Click here for schedule and here for handbook. The draw will be held Monday.Budapest is one hour ahead of Ireland. 81 nations have registered to compete at the tournament.